A Story *About* | LifeSchool Inc.
… My entire life I’ve been a passionate Worker Bee, even perhaps a Queen Bee for a time (if only within my own mind:). I landed my 1st job at 11, after delivering resumes door-to-door. I scored a babysitting gig that lasted 7 years with the same family, and worked a half dozen other eye-opening, oft rewarding, jobs. as it gracefully bowed to my heaven (vs hell)-bent will. And then those Nos of life just fueled the desire to Shift n’ Achieve all the more. I took the pilgrimage home (many serendipitous tales later) and took a vow of life-balance and a job running the communications dept of a non-profit in Toronto. For the first time, I signed myself up for an after-work sport… and like magic, like the Universe leaping up & down cheering-on my first truly centered life-choice, first day on the Beach Volleyball court, there he was… my soul-mate-come-hubby (of 10 years now). I was speaker, writer, advocate, facilitator and was in constant shock n’ awe at my seeming direct-line to the Universe (or God if that’s your way) for Dream Manifestation. Life was prime and I lived my joy and others desired the ‘how’ of it all. But that clock it was a-tickin’ and if we were to have a baby, NOW was the time. I was pregnant. I was high, higher than high. I meditated two hours a day. I was at one with spirit. Nothing could have prepared me for the wholeness I felt. My Liam, our ‘devoted guardian’ changed our lives with his peace, giggles, coos and even cries. And this lingered, while I blissfully balanced workshops with feedings and CEO Daddy had a flexible-enough schedule to fill in the gaps. And then a second baby. Hey, when you’re 37 & 47, time is a lil’ of the essence if you want another one:) Seventeen months into Liam, came our Nathaniel, our ‘gift from God’, our Tigger n’ Joy, and we were complete. and then clanging and unavoidable. If I was to leave my business, Center of YES!, Inc. (evolved now to Project YES! Life), and my entrepreneurial pursuits behind, I had to embrace this motherhood full-on, with greater, conscious purpose. My sister homeschooled & her boys are brilliantly creative, solid in their sense of self and ‘get’ their soulful power to choose their life-paths as they see fit. I might add that my other sister’s children (who were not homeschooled) are exceptional as well, because my sister stayed home and was completely passionate about her involvement in mentoring and guiding them alongside the teachers. Me, I’m an all or nothing gal (as you may have guessed by now). Sure I have balance, but only because I focus and plan diligently to keep myself in check. I built a business that would KEEP me in check, as I believe to guide one must first follow IT authentically. This is what inspires people, truly, to the core. People know when it’s the real-deal. Were I to return to work, I do believe I may take it all on so fully, that I may just loose that balance with my boys and more importantly, the moments. the world tells them to be so. AND SO… Here we are, back in Ontario and close to loving family and nature and choosing a simpler life that honours family-time over exhausting schedules and biz travel. 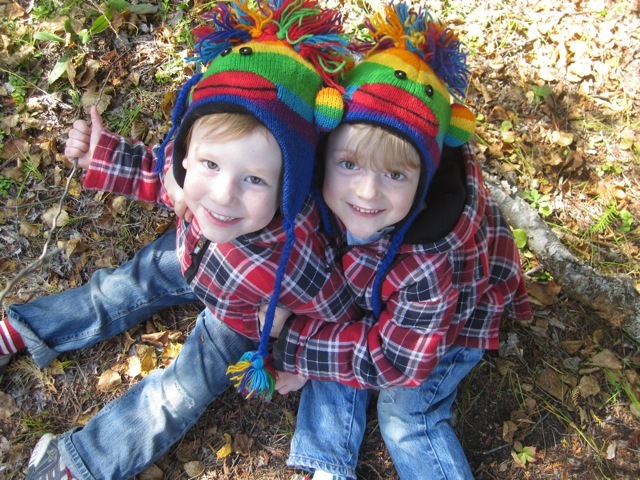 Here I am, a mom of boys 6 and 4 1/2 and a life-altering decision needs to be made. I’ve informally taught at home for 2 years and have run a LifeSchool for kiddies (age 1-11), but this fall I needed to decide if I’d take it full-on or release it full-on. I actually considered re-embracing the successful career that beckons and sending my babes to the world. I tried it all on for size in my mind and almost bought the whole ensemble. Would it be horrific? No. Would it scar my children? Probably not. if they knew and believed they could achieve it. I could passionately continue to build programs, write books to inspire and ignite these people and LOVE IT! What of my life purpose then? As I said, I’m an all or nothing gal. This I know, and even love of me. And so, while I dabble 20 hours a month in Project YES! 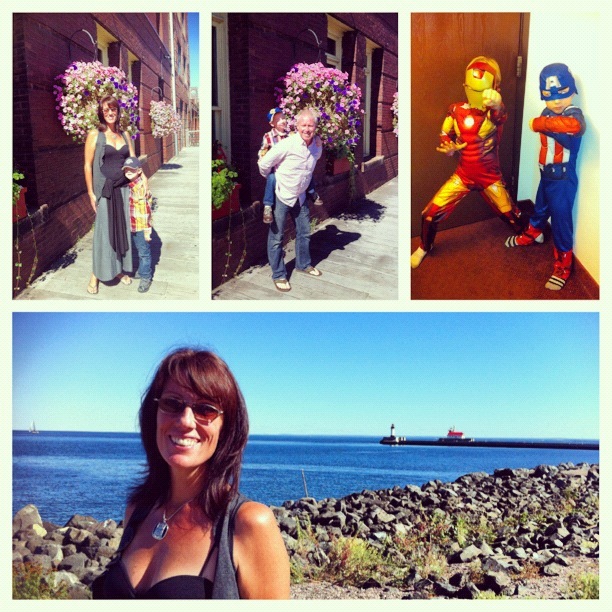 Life, helping clients build their dreams… my full-time, full-on dream is MY BOYS! Do I know what I’m doing? Nope. Will I learn? You bet your peteuty I will! Will I LifeSchool forever? I don’t know, but I do know that I will take it on for 365 days this year. And if I am to do this, then how can I marry my passion for writing, for photography, for empowering others by setting an example of a life well-lived and honestly share how the pitfalls make us claw our way out and up for the better AND put this LifeSchooling thing in a system that I am pretty adept at?…. I will build a biz idea and a blog – LifeSchool Inc. … a biz n’ life adventure in LifeSchooling by CVO, Chief Visionary Officer & Owner, Mommy (aka Jennifer Maki). Because Learning happens while we’re Living. It happens everywhere, anywhere, all the time. ability to blend structure with spontaneity, that a successful business does. I long to take this journey, to do it well with a passionate YES! and along the way keep myself accountable to me, to my boys, to my husband. And I can do this here, by being accountable to YOU. I love to share this journey of life, on all levels, with my fellow beings. (a lot more concise than this About section) and hopefully witty. I will share ideas, anecdotes, pics and a the whole spectrum of learning that unfolds along the way. Soooo Wanna Come Along for the Ride? If you’ve made it to the end of this, I hope to God & the Universe, you say YES!, because I’ve bared my soul and you’ve endured it. The rest should be easy-peasy, right? Right! What a marvelous adventure you and your boys will have! I wish you much luck in these 365 days. Make memories together and learn about the world as a team. This is great! You’ll definitly succeed, one way or the other. And you’ve inspired me already! Wow…I think you just exhausted me–in a good way, of course! I wish you abundant blessings in all your life adventures. 🙂 Thanks! What an amazing , beautiful journey full of hope, love, joy and laughter. Thanks for sharing your world! Happy Holidays.